Yowzer. The Killing Joke 2012 story moves into double figures. Chapter 10 sees the Cult giving the boys some breathing space, and extending what appears to be a olive branch, maybe allowing Jaz to remove his foot from his mouth and, potentially, allow Jaz to remove hi size fourteens from his mouth! Could the tour be back on? The Cult are deliberately avoiding saying much about the recent jibes at them attributed to Killing Joke frontman Jaz Coleman. And Ian Astbury says his band are allowing time for Coleman’s outfit to get their house in order. The band quickly distanced themselves from the statement, and said that Coleman had gone AWOL. He re-appeared a fortnight later, claiming he hadn’t been missing and promoting new projects in the same announcement, leading to anger from fans who suspected it had all been a publicity stunt. KJ said they were hopeful of repairing relations with the Cult, while Coleman insisted it would be impossible to appear on the UK tour with them. Now Astbury tells Music Nerd: “We made a decision to try to let everything settle before we say what we want to say. “Apparently, the webmaster from Killing Joke’s website wrote the statement on their behalf. The band immediately issued an apology. “Jaz wasn’t even in the country when all of this went down. 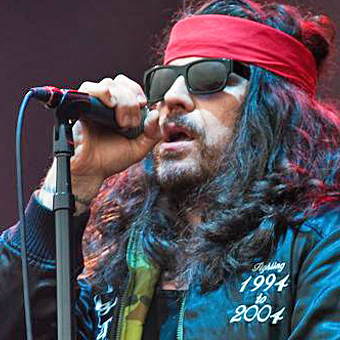 But the fact is, people are taking sides, nobody cares about Jaz Coleman and nobody cares about Ian Astbury. It’s easy to get caught up in the triviality of it all. The UK tour dates, which start on September 10, still advertise KJ as the third act on the bill. via The Cult give Killing Joke time over Jaz Coleman furore | Classic Rock.